Ross James Brawn OBE (born 23 November 1954) is an English former motorsport engineer and Formula One team principal. He worked for a number of Formula One teams, serving as the technical director of the championship-winning Benetton and Ferrari teams. He took a sabbatical from the sport in 2007 but returned to F1 for the 2008 season as Team Principal of Honda. He was the owner of the Brawn GP team, which acquired the Honda team in early 2009, and won the Formula One Constructors and Drivers Championships in that year. Mercedes bought into the team in November 2009, making Brawn Team Principal and Co-Owner with Nick Fry. In 2011 Brawn and Fry sold the remaining shares to Mercedes Benz, with Brawn remaining as Team Principal. In November 2013, it was announced that Brawn would step down, and the reins would be handed over to a management team consisting of Paddy Lowe and Toto Wolff. Following speculation linking him with other teams, Brawn announced his retirement from Formula One in February 2014. 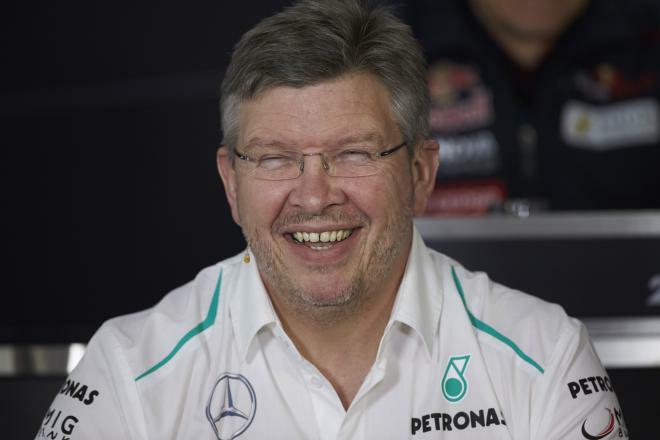 Brawn led teams have won 9 constructors championships. 1 He was awarded the OBE (Officer of the Order of the British Empire) in the 2010 Queen's New Years Honours List for his services to Motorsport. He is Team Principal of Brawn GP. 2 Joined Honda F1 Racing to work as a team-principal in November 2007. 3 F1 Racing magazine estimated Brawn's salary being about 5 million dollars per season with Ferrari in 2000-2006. 4 A famous race-engineer in Formula One. His biggest success came in Ferrari team.